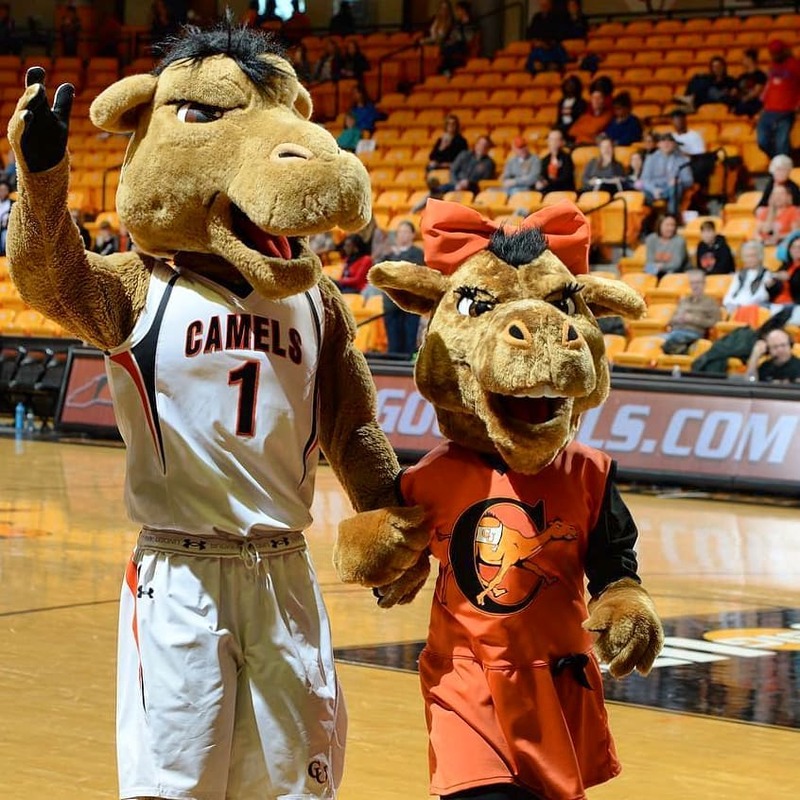 Long-lost Campbell mascot Gladys the Camel finally returned to the court this Saturday after a 25-year hiatus. 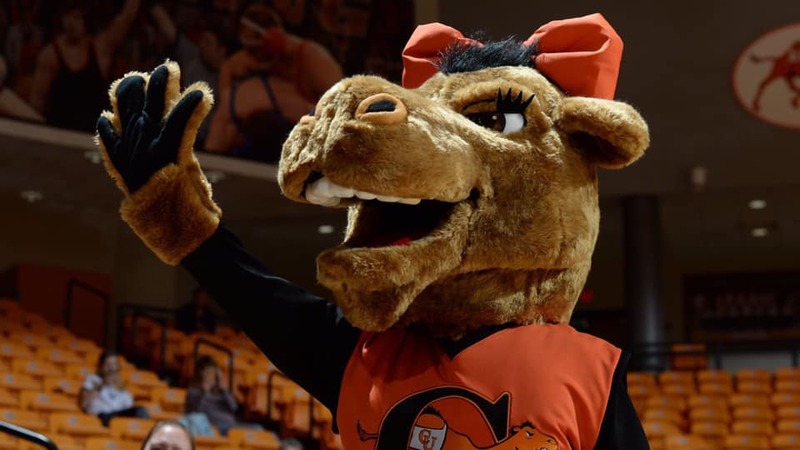 Emerging at halftime to join Gaylord on the court at the women’s basketball game against Radford, Gladys showed off an updated suit complete with a Fighting Camels dress and an orange bow. The two mascots performed a camel handshake that delighted the crowd, and spent the remainder of the afternoon on the concourse taking photos with their fans. The last time Gladys and Gaylord were seen together was in 1993 when Campbell alumni Craig and Angela Lloyd portrayed the dromedary duo. Angela hung up her camel head upon graduation, and Gladys disappeared from the limelight. The idea for Gladys’ return was tossed around for years before Ricky Ray, associate athletic director of external affairs and Tammi Fries, annual giving director, decided that bringing back Gladys in 2019 just made sense. The demand for Gaylord appearances has been difficult to meet with only a few student actors able to represent him, especially since the towering mascot’s suit requires actors who stand at least 5 feet 11 inches tall. This new-and-improved Gladys is about a camel head shorter than Gaylord, which not only makes her less intimidating to younger fans, but allows more students the opportunity to portray her. Comraderie on the court between two mascots was already evident at their first performance. Underneath the Gladys mask, a Campbell student and first-time mascot performer was excited to see her character develop alongside Gaylord’s well-established personality. “I’m excited to engage with the crowd and work on making the character more feminine than Gaylord while representing our men’s and our women’s teams,” said Gladys. As for the return of the camel love connection that crowds saw in the ’90s, Gladys was quick to shut down any rumors.